Literacy at Sequoyah begins with the Journeys curriculum as the foundation. This curriculum is taught through the structure of reading and writing workshops. Workshops begin with a mini-lesson about specific reading or writing skills. The lesson is short, very focused, and led by the teacher. There is an opportunity for students to try out the new skill together with the teacher’s guidance, after which the students will practice the skill independently. During the time the students are working independently, the teacher is monitoring their work and is working with small groups. 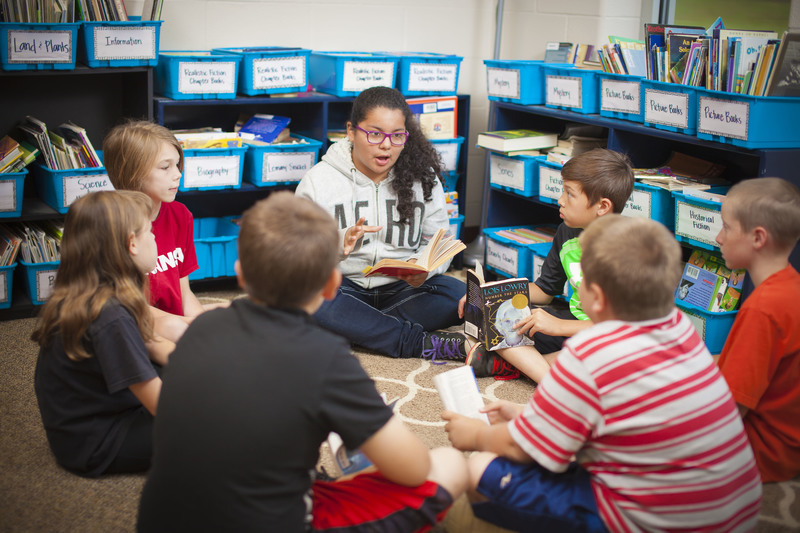 Students are provided opportunities to read independently or with peers, respond to the books they’re reading, work on research projects, and discuss texts with the teacher and one another. 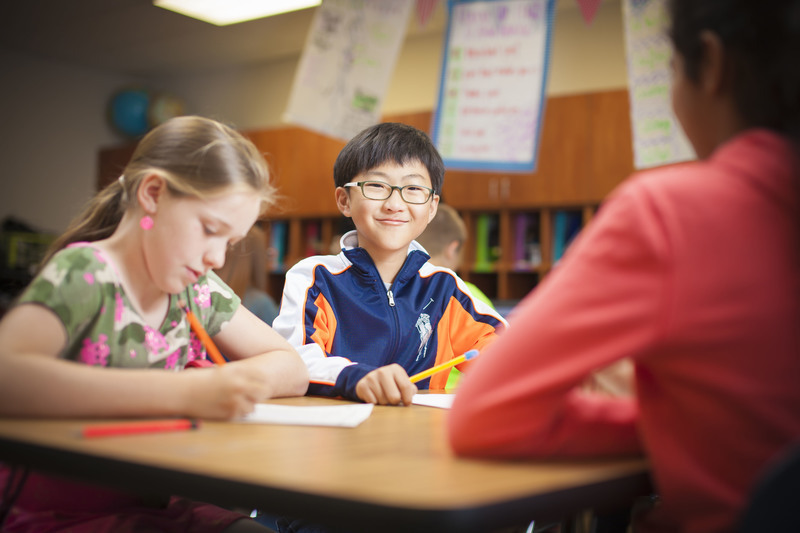 Writing time allows students to apply a newly taught skill to their writing, edit and revise with peers, and practice being a writer, as well as individually conference with the teacher for specific feedback. The Journeys curriculum gives teachers and students much exposure to and practice with technology, from electronic books, to literacy activities that build on new learnings, to web-based writing. Students today must be technologically savvy and Journeys helps with this! But teachers also know it is crucial that their students hold and read actual copies of books, too. Sequoyah Elementary has not only a large library for students to routinely browse and make book selections, but an extensive literacy library where teachers select sets of appropriate books for their students to read together. Students at Sequoyah are exposed to many pieces of quality literature daily. Students participate and share their learning through literacy discussion groups.